Everyone relies on fresh, clean water to drink, wash and cook, yet most people take their water supply for granted and seldom reflect upon its long, complex journey to their taps. Clean water takes a long and intricate journey with many processes from far away rainfall to safe drinking water piped into residential homes. Customers can rest assured that the quality of their water supplied through Aguas de Valencia, one of Spain’s largest utilities is of the highest quality. Aguas de Valencia and Global Omnium deliver a smooth and uninterrupted water supply to their clients. To achieve this efficiently and at lower cost, they have introduced the internet of things, or IoT sensors and embedding state-of-the-art technology across their businesses. Compliancy with current legislation has been exceeded through investment in a greater level of water security. These include implementation of numerous additional controls to those required as well as processes and systems certification of quality management. Most expats will notice that the charges for their domestic water is relatively low compared to many other European countries. This is in spite of fairly hefty city and community taxes as well as value added sales tax. Bimonthly invoices are sent under the name emivasa, the brand of Empress Mixta Valenciana de Aquas, which appears beside bank withdrawals. Clarification of items is available in English. The company faces a certain dilemma. Depending on individual habits and size of households, the actual percentage of charge for usage can very small. Convincing consumers to save even more water can thus prove to be challenging. Aguas de Valencia is already a national leader in managing water quality as it has the ISO 17025 standard. That enables it to act as an official inspection agency to assess and verify the quality of surface marine and continental waste waters. Health criteria for the quality of water for human consumption in Spain are legislated by Royal Decree 140/2003, a law which is supplemented by regional legislation through Decree 58/2006 of the Valencian Community. 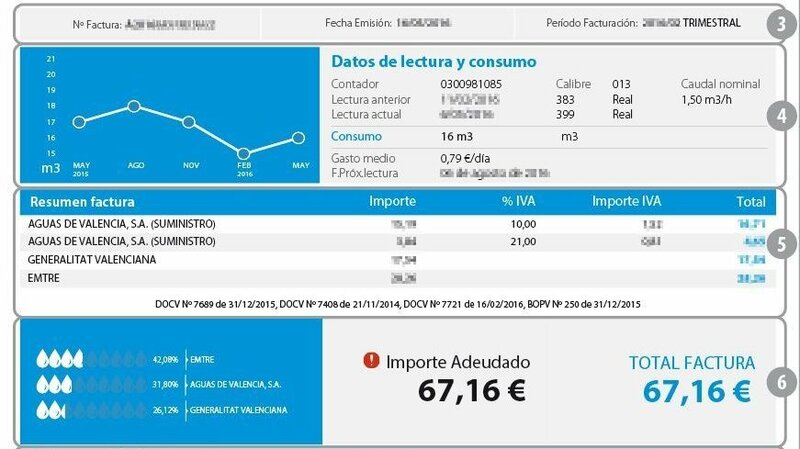 It is possible to check water analyses through the Spanish National Information System on Drinkable Water Consumption or SINAC. A Grupo Aguas de Valencia company named Gamaser has been responsible for providing laboratory services for over 25 years. It is nationally acclaimed in the field of water analysis, serving both private companies and public administrations. The company performs 300,000 tests and 32,000 analytical reports each year. The quality of drinking water in Valencia can be trusted. Expats who may have taste or odour issues could try using a filter or drinking their tap water cooled. Learn more about the water cycle of Aguas de Valencia. Global Omnium delivers water to 7 million national and international customers. 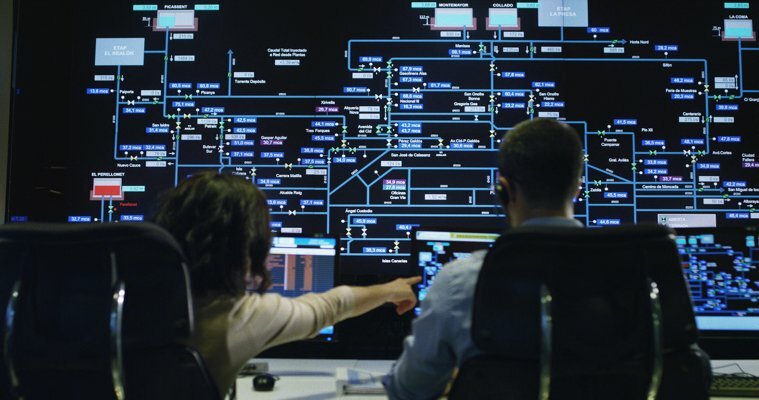 The Valencia based company manages more than 700,000 smart meters and analyses a phenomenal 5 billion data every year. Aguas de Valencia is the face of the innovative Global Omnium utility that delivers water to its customers in the capital of the Community of Valencia. Bimonthly invoices are sent under the emivasa brand of Empress Mixta Valenciana de Aquas. Your bill explained on external link.